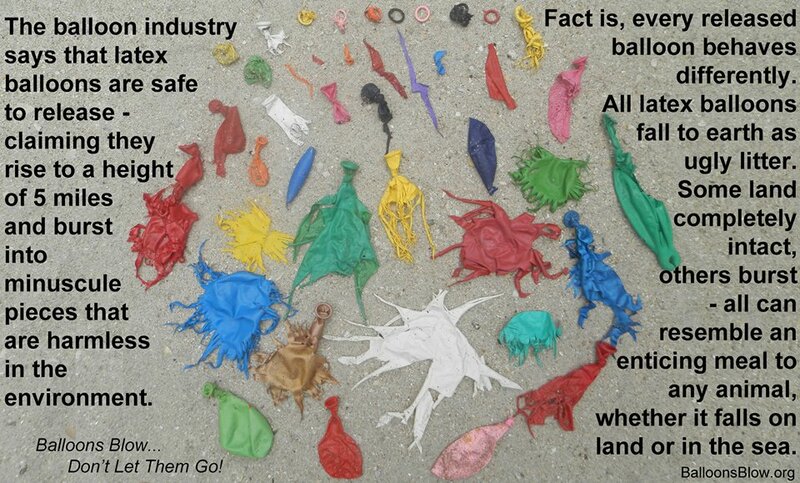 As eco party lovers we have witnessed many compelling debates for and against offering latex balloons to our customers. We previously thought that the only eco friendly balloon were those made solely of paper or ones made from latex, a renewable sap-like extract from the Hevea brasilienesis rubber tree, found mostly throughout Asia and Africa. 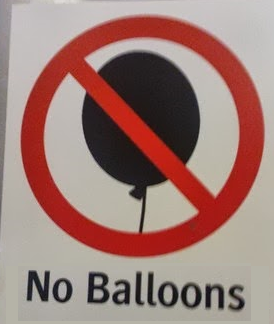 In 2014 we made a big decision to no longer supply balloons to our customers. They were one of our biggest sellers! We had sold them previously believing them to be biodegradable and, if disposed of correctly, would pose no threat to wildlife. We took this advice from many sources including the BalloonCouncil (TBC) - an international network of manufacturers, distributors, decorators, retailers and entertainers for the balloon industry - which was established in 1990. However over the past year we have felt uneasy about their and other's eco friendly claims relating to balloons, despite almost all retail websites claiming balloons were biodegradable also. So we did some more research and discovered there was more to the story. Firstly we wiped the slate clean, believing the Balloon Council as a network of manufacturers, distributors, retailers etc. have a vested interest in the sale of latex balloons and painting a positive light on their eco credentials, so they could not really be taken as a verifiable independent industry body. Also, nowhere on the Council's list of members were environmental groups to support these claims of safety for the environment. Secondly our own first hand tests included seeing our own balloons decompose extremely slowly in our own open air compost. We had also left a balloon behind from a party once and our beloved golden retriever ate it. Fortunately he didn't choke, but it shows you that even dogs, as well as all type of animal, bird and sea life, can mistake balloons for food. We looked further into claims of balloons using chemicals, plasticizers and artificial dyes and realised that maybe all that is natural about balloons is just the rubber latex. 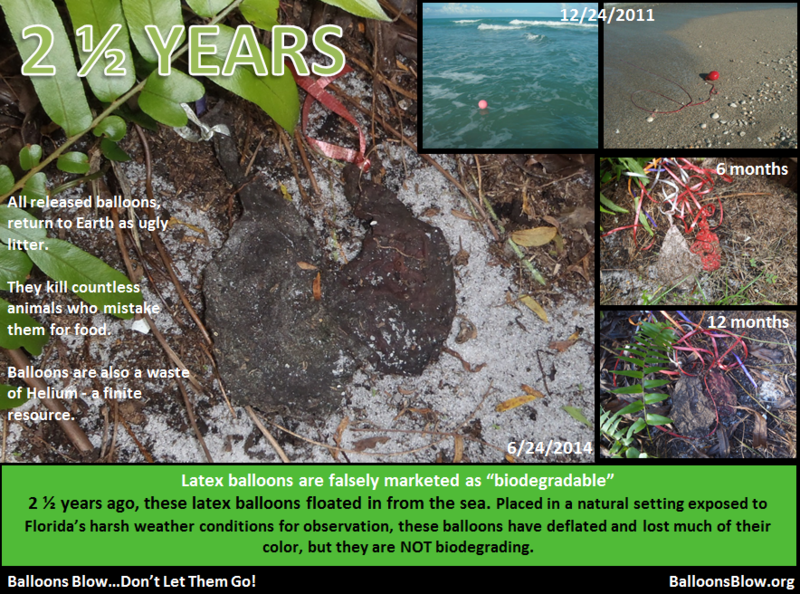 The Balloon Council claim that latex balloons biodegrade in the same time as an oak leaf - which can take around 4 years. But even if it does take four years to biodegrade - that is enough time to get gobbled up by an animal. Also, the 1980's study which brought about those claims of biodegradability was conducted by a 20-year-employee of the rubber industry - clearly a conflict of interest. With all this in mind we have come to the conclusion that the eco friendly claims for balloons made by the Balloon Council and other manufacturers and retailers are unreliable. "I conferred with my client (Meredian Inc), who is a US based biopolymer manufacturer who ... states that one of the formulations of their PHA based biopolymers is able to be made into elastic products such as balloons and surgical gloves. The end result would biodegrade in eight weeks. "The problem lies in the demand, as they would have to produce enough substrate to make the customization economically feasible. Right now, it would probably require folks to seek the product out once it's available. This is very similar to folks who purchase electric vehicles or organic produce. It is a discretionary decision with regard to sustainability and conscience." There are some who say a party is not a party without balloons. So if you are one of those people we suggest you keep an eye on www.meredianinc.com as there may soon be news there about a better type of balloon. (Update: 17.10.18 - the Meredian Inc website linked is currently not in operation. We shall leave it as a link however just in case it restarts). For others who don't need balloons for their parties we say, try a bunch of flowers, material or paper bunting, honeycomb balls, tissue paper fans, tissue pom pom flower balls, candle lantern bags or flower petals - you can always find an equally colourful and affordable alternative to balloons so nature doesn't have to pay the price. 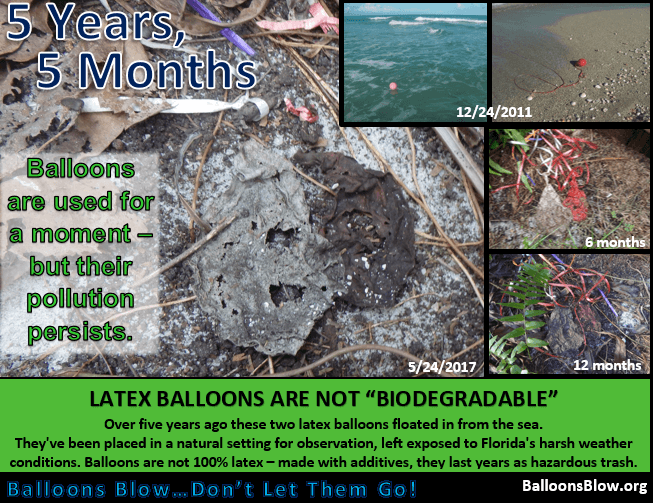 For more information on why balloons no longer meet our eco creditials take a look at http://balloonsblow.org - a non-profit organization created to provide information and to educate others of the dangerous effects balloon releases have on wildlife & the environment. And to inspire & promote an eco-conscious lifestyle.